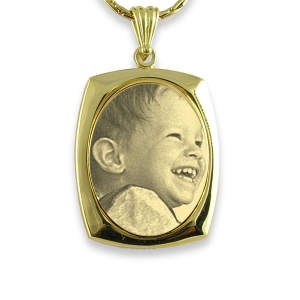 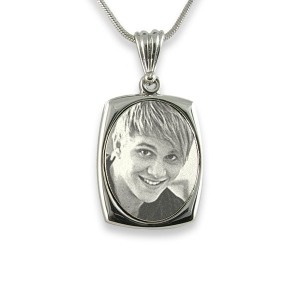 This large photo pendant has an oblong frame with an oval-shaped raised face, on which your photo is engraved. 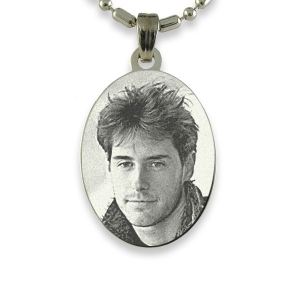 The engraved plate means your image really stands out on the luxury pendant. The size of this pendant suits a head and shoulders portrait. 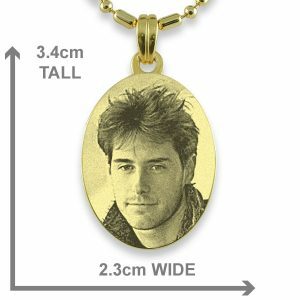 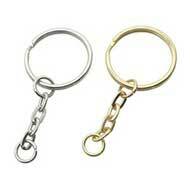 The large luxury oval pendant with oblong mount can be worn as a necklace or put on a key-ring. 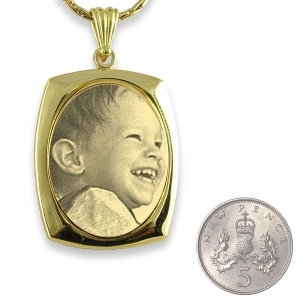 Engraved photo pendants are created by an etching technique which relies on contrast between light and dark areas of a photo. 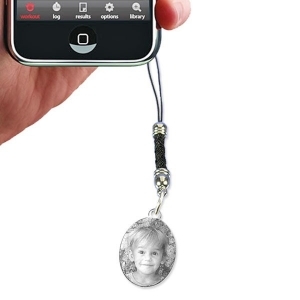 When the light falls on the photo pendant it gives your photo a magical glint.There is no colour or printing involved in the production of these photo pendants. 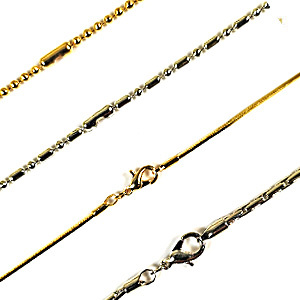 Available in rhodium plate or 18K goldplate. 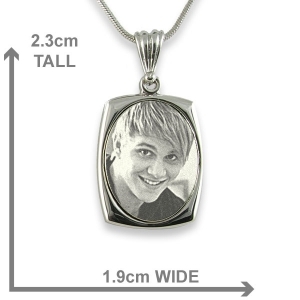 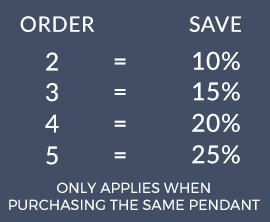 The higher the resolution of the image uploaded, the better the reproduction of the image on the pendant will be. 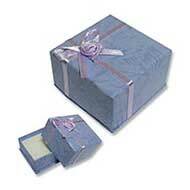 See our FAQs for more information on suitability of images. 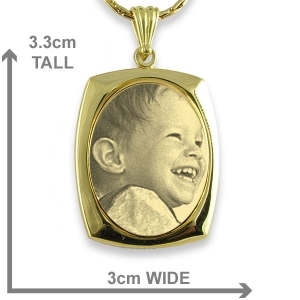 Photo pendants are classified as hypo allergenic jewellery; which means they are safe for people with nickel sensitive skin.